Ryo / Apple Project tapestry. Cheap for a double suede tapestry. New tapestries from Melonbooks. Apparently related to this new calendar thingy. Let’s see if there’s anything good by Muririn. Fanza download edition of World Actor, with voice data bonus. Ugh. At least it’s using Soft Denchi so maybe it’ll be easy to break? Still a bit annoying. I’L 2019 Spring. More Natsume Eri. And tapestry at character1 end of next month. Comic Megastore tapestries. Includes Sakura, moyu’s Chiwa. Pieces’ Yua pillow cover. That was quick. I’m not getting it though. Onigyu H visual guidebook(?) free download. World Actor Sofmap BugBug special deluxe edition thingy. I don’t even. More World Actor, character songs. 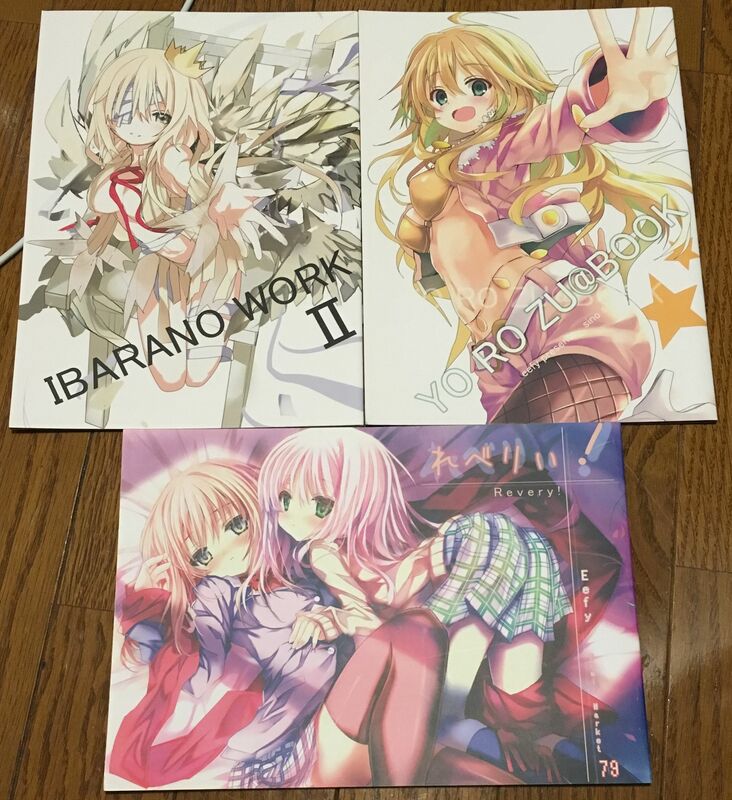 Random TakayaKi mini artbooks from Comic ExE. Celebrating the new book release, I think? A bunch of old Eefy doujinshi. Just because. The Ichihaya doujinshi I mentioned last week. The only eroge I bought this month – Pieces by Whirlpool. With early bonus shikishi at the left and Amazon voice drama DLC at the middle. The rest should come in few days. I hope. 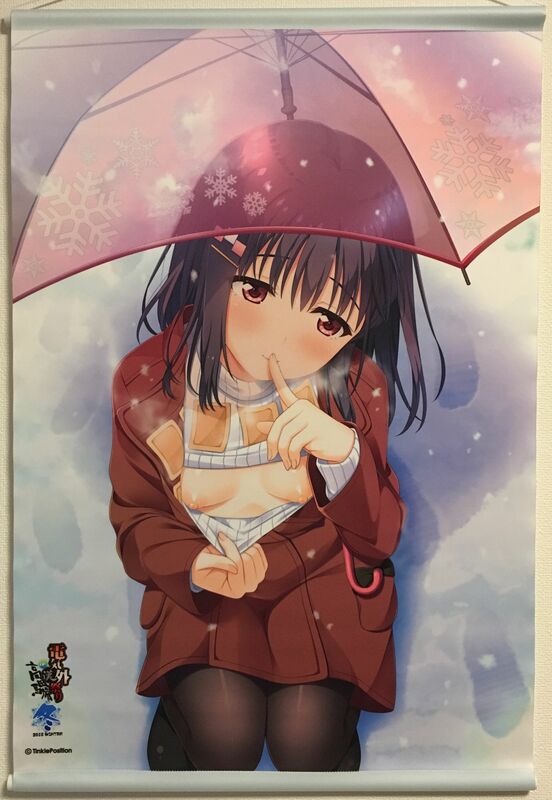 And lastly Onigyu’s Akane tapestry from Denkigai 2018 Winter. A bit off season as usual. Lots of hand warmers as usual from Akane. Resisting to not write some 下品 comment. I barely progressed at all due to various stupid reasons. Although I did play Nekonin 2 Plus (?). Almost finished Ritsu route. New FGO event. Too bad no free servant. Sold three items with about 20% loss. Whee. That wasn’t really smart. Lowered price, and put up some PC parts which I don’t need anymore. Will put up more parts later. Motherboard arrived in one piece and everything went as planned. Only need to sell the unused parts as mentioned above. Barely survived this month. Next month should be slightly better. I think. As for purchases, there will be 9-haruiro next month so 20k down the drain. Hopefully I can recoup some afterwards. Mainly just want the voice drama bonuses. Oh and I ended up buying Sakura, moyu from Tora no ana as I learned they still have the bonus tapestry. Yay RIP 10k. And then nothing on May as I’m skipping Renran Spirichu. Nothing else seems particularly interesting. Then there will be Onigyu H in June. I will be getting from 4 or 5 stores so about 40k at most? Skipping Sora tapestries but still getting Sofmap for the voice drama. Also there’s Amazon which is rather confusing as the guidebook says tapestry but the site says cloth poster (the one without hanging poles and stuff). And then in July there will be Asa Project’s Koikari. Cursory check says DLC at four stores so 45k. I don’t think I’ll be keeping any tapestries though. Still in July, there’s World Actor. That one is annoying. As mentioned far above, there’s voice drama for Fanza DL edition. Then there’s the Sofmap special special edition thingy. 25k so far. Throw in Getchu, Melonbooks, and Trader, then I have this number 58k. That looks pretty big. Don’t forget to throw in the four character songs for good measure then I’ll have something around 64k. Combined with Koikari above, I’m looking at 110k. Finally a quiet weekend. Or so I hope.